The Beauty Cabin® Academy operates training courses from both our salon locations in Biggleswade & Cambourne. Our team of 6 highly skilled tutors have a combined total of 50+ years in the beauty industry so you can be sure you really are learning from the experts. We offer a range of the most popular beauty, holistic and nail courses that combine online theory with practical learning assessment at The Beauty Cabin Academy. All our courses are accredited by The Guild of Beauty Therapists (the UK’s largest trade body and provider of insurance for the professional beauty sector) and offer a unique flexible learning option, which means our courses work around you and your time. With a choice of beauty, holistic, nails and professional standards courses you will be sure to find the right course to put you on a path to a new career. Get started today and train with the experts in the industry. 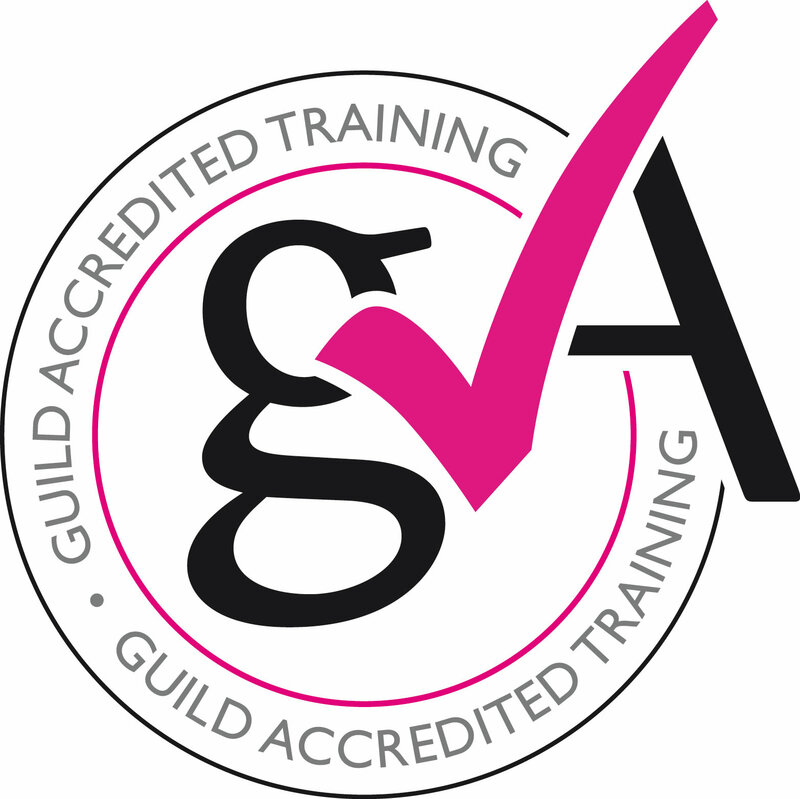 All courses are fully accredited by the Guild for membership and insurance following successful completion, so you can start your new career without delay.